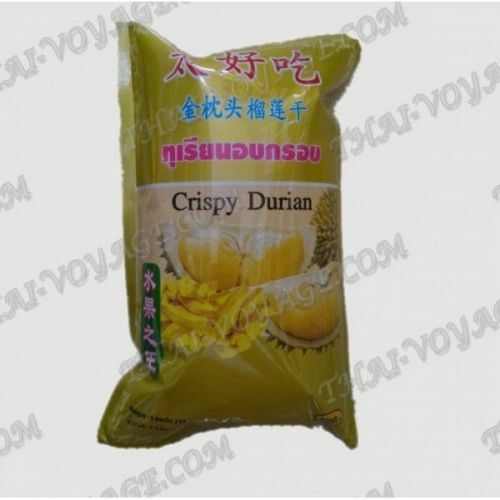 Durian is the most exotic fruit of Thailand in an unusual form – chips, which are helpful. 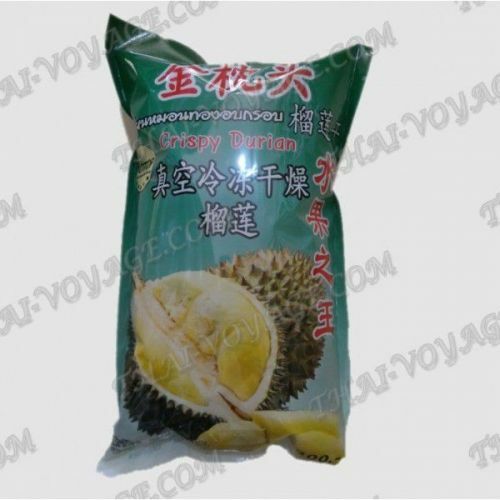 Durian – exotic fruit of South East Asia. 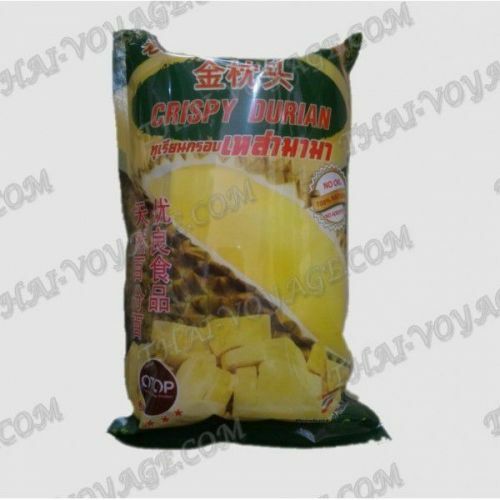 Durian has a distinctive odor, it is difficult to clean without contaminating everything around it, and therefore to bring this miracle in hotel rooms is strictly prohibited. About the taste of the flesh of durian argue all the time: someone doesn't like someone, once, falls in love once and for all. According to different versions, tastes like custard or mango, it has notes of pineapple, nuts and even cheese. In General, the best option is to try yourself! Local residents of Thailand describe durian like this: "Hell is outside, heaven inside." We offer You to pamper yourself and your loved ones a real exotic! 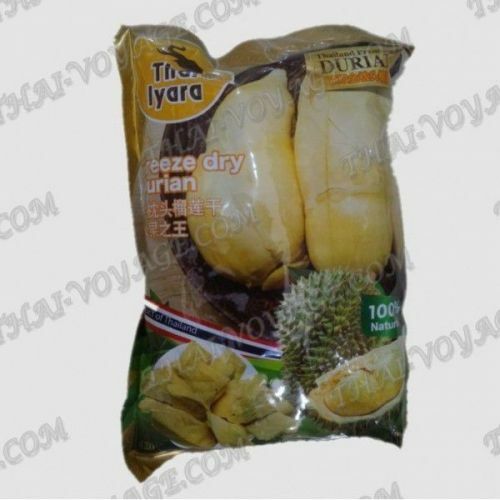 Chips from durian cooked without oil, they are delivered in foil bag that maintains the quality of the product. 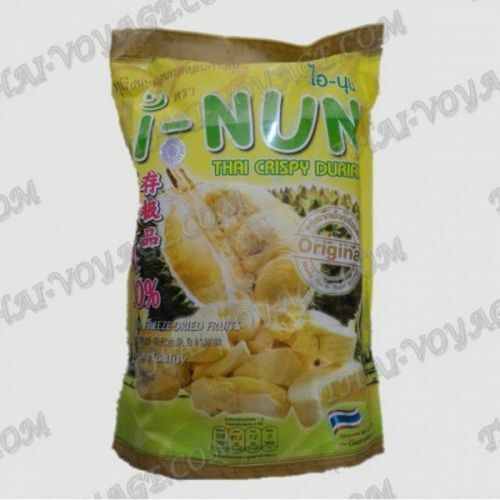 Bag of chips from durian is an unusual dessert and the easiest way to get acquainted with the fruit: cheap and convenient, and most importantly – useful!